As engagement with creative technology is often cyclical, so Harmey turns technologies back on themselves. Old media becomes new media to new audiences. Harmey takes inspiration from these early forms of technological invention particularly the processes of capture and communication, revealing many pitfalls and possibilities. 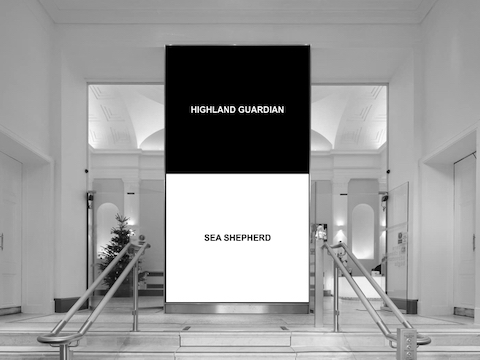 This 4.5m high LED screen will offer creators from around the world an ongoing opportunity to present and develop work that dynamically engages everyone visiting the building. We'd like to thank Aberdeen Harbour Board for their data and Dublin City Council’s Public Art Programme and Dublin Port Company for their initial support. Co-commissioned by Aberdeen Performing Arts And New Media Scotland’s Alt-w Fund with investment from Creative Scotland.